Different people have different opinions as to which debt you should pay off first when you’re trying to get out of debt. With the snowball method, you continuously pay your lowest debts because there are a lot of psychological victories when each gets paid off, creating momentum. However, it makes more sense financially to pay off the highest interest debts first – if you can commit the same effort psychologically. With both strategies, you’ll pay the debt off in 21 months. However, by paying off the personal loan first, you’ll pay nearly $100 more interest and who doesn’t want an extra hundred dollars? This is why I recommend paying off your highest interest debts first! 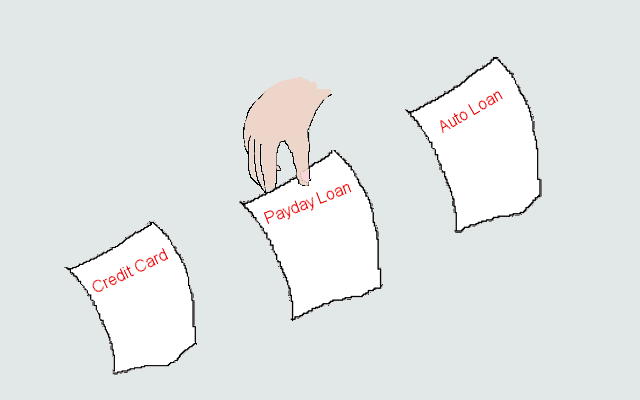 There is certainly credence to the psychological effect of paying off a debt. If you struggle to continue to pay off your highest interest debt, you may want to focus on your debt with the lowest balance. Once you see a victory by paying off the lowest balance, try to move back to paying off the debt with the highest interest rate. When you first start paying off debt, having a financial victory can be huge. This is why I recommended paying the lowest balance with an interest rate above 15% first in Crushing Debt – Part 1. Oh and for extra motivation – paying only the minimum on both those debts will take over 24 years to pay off and would cost over $8500 in interest alone! I can think of a lot of things that I’d rather do with $8500, than paying interest on debt. This is why now is the best time to start focusing on paying off your debt!